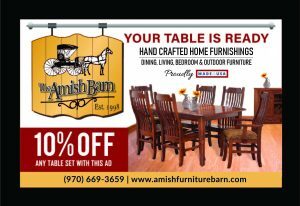 At the Amish Barn we specialize in getting you the best prices available on hand-crafted Amish made furniture for the home and office. The timeless beauty of hardwood furniture is apparent in each piece, manufactured by some of America’s finest craftsmen, and sold to our customers. High quality woods including Oak, Quarter Sawn Oak, Brown Maple, Cherry, rustic grains from each of these wood varieties is available. 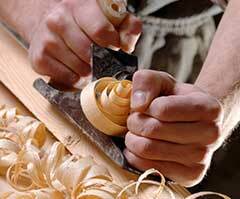 All crafted here in the United States of America. Styles ranging from traditional Mission and Shaker to Non-traditional styles to enhance every room of the home or office. 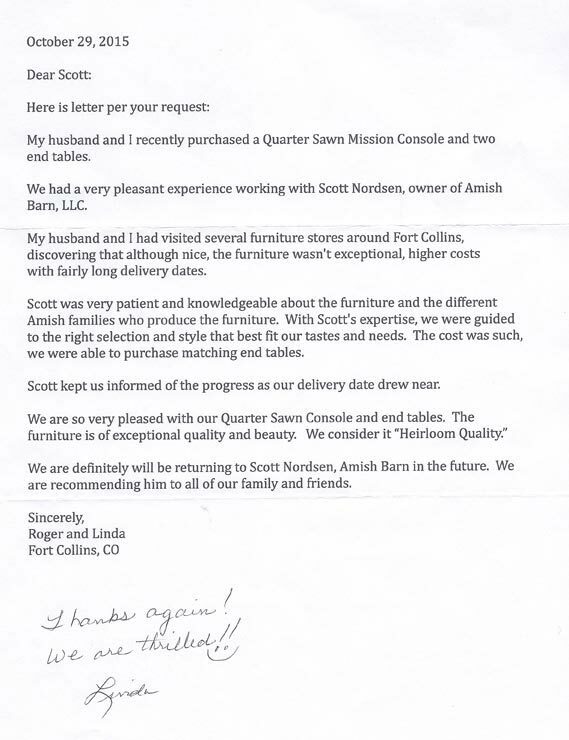 We provide your furniture needs for your Living, Dining, Bedroom, and the rest of your home or office, including Entertainment Centers, Curios, Benches, Chairs, Occasional Tables and more. Outdoor furniture – including tables, Adirondack chairs, swings, rockers, bench’s and pergola’s will be included on this site in time for spring!